The whole Castro area is getting a multi-million dollar upgrade. Following West Hollywood's lead, San Francisco's Castro neighborhood is getting four rainbow crosswalks at the busy intersection of 18th and Castro streets. The crosswalks are part of a $4.5 million streetscape project that encompasses Castro Street from Market 19th and also includes pedestrian amenities like wider sidewalks, street trees, and better lighting. Drivers will also experience repaved roads and cyclists will have more places to park their two-wheels. The work starts this week and will wrap as early as July, sadly too late for the city's legendary Pride celebration, though maybe the rainbow crosswalks will make an appearance on season two of Looking. 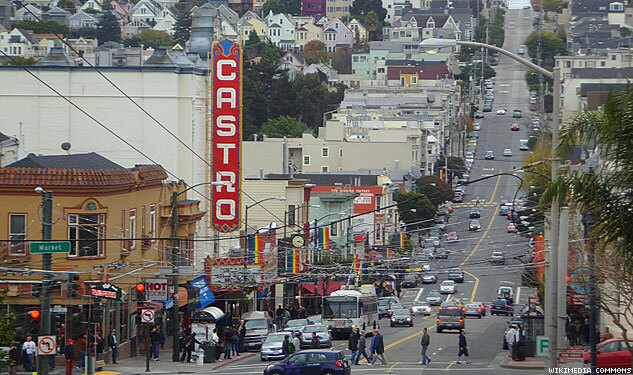 Read more about the Castro Streetscape Project here.